This book was criated by need to produce a collection of exercises studies and pieces of music that represent a technical compositional and “musical” course that I have been developing in recent years. I was motivated by several requests from friends (students and enthusiasts of my work that looking for my scores compositions, studies or exercises). Than I had decided produce this collection. However I caution about this production is not intended becomes a method because is a collection. Therefore this project resulted in a technical musical book, although there is not a purpose in creating a method of technique. 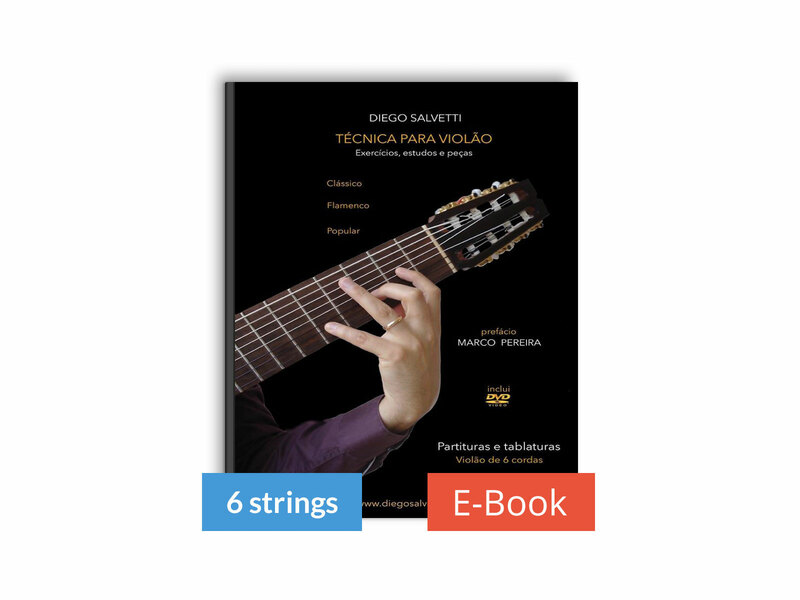 This is a selection of material which I enjoy to play at keep my technique trained. It must be emphasized I believe its possible “mix” and “influence” different musical styles (which there is a great opportunity we became creative and musically original) also in the possibility of applying different techniques in these styles. For this reason, this collection can be considered as a book of “applied technique”. The exercises pay particular attention to technique of the picado because it is what the people most recently asks me about. They are exercises that become and effective gym for strengthening fingers of both hands. While studies (or microstudies) cover a panoramic view and reference at pulgar, alzapúa, arpejo, picado and tremolo, techniques also combination fingers from right hand and techniques generally. During the creation phase, I composed the most “musical” possible exercises and studies, except some exercises and studies that have not an aesthetic objective, but there are didactic objectives. I believe this is very important because I believe the technical study also becomes enjoyable. About the pieces, I chose among some my compositions that I checked to require a more advanced technical level. A DVD online video accompanies the e-book. I consider me as its first student to this material because I recognize be always necessary to study a very advanced contents to improve my musical technique. This collection is also directed to all students friends and guitarists that they want to develop and perfect their own technical skills or just playing some of my compositions.